Well here we go! 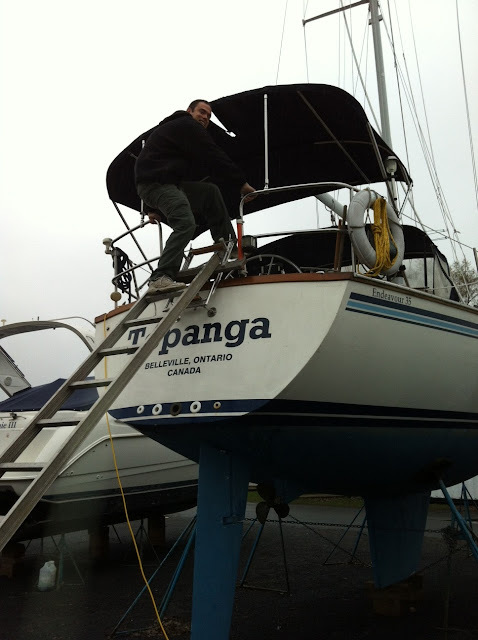 Last week we Launched Topanga! Couldn't have gone better! Everything was on time. 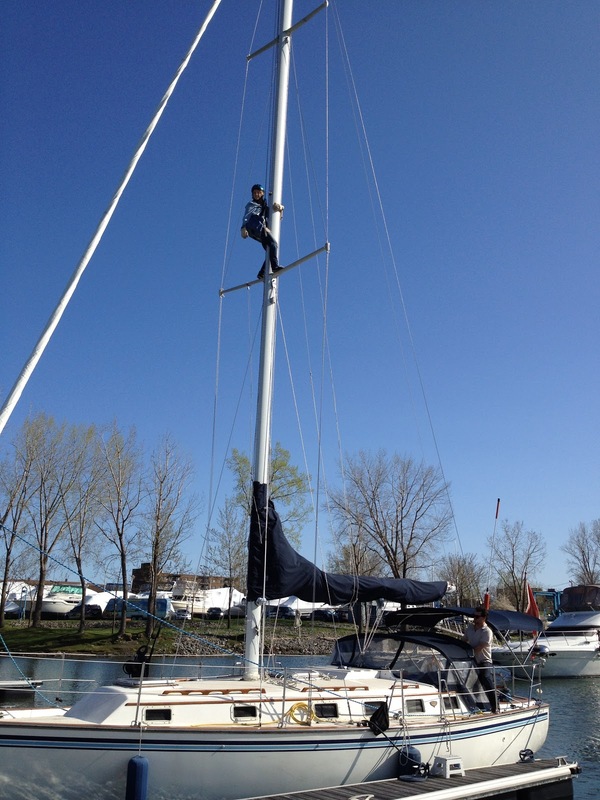 The marina supervisor can be a stickler when it comes to staying on schedule and with about 300 boats to launch rightly so. Topanga was cradled at the very far end of the marina and was "travel lifted" all the way across the parking lot. We were on board during this maneuver and I can tell you it's quite surreal being in the cockpit while floating on a 15,000lbs yacht through the air. Then we were slowly lowered into the water. Thank goodness the diesel engine started! This was my biggest concern as last year I was unable (not for lack of trying) to change the oil. Top priority this year! 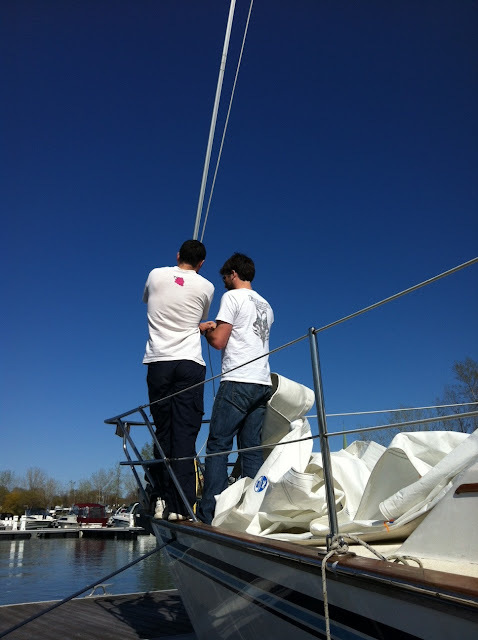 Saturday we installed the main and jib sails with help from our friends Charles and Gael. A lazy jack cord had dropped to the deck during the winter and the other end was swinging halfway up the mast. 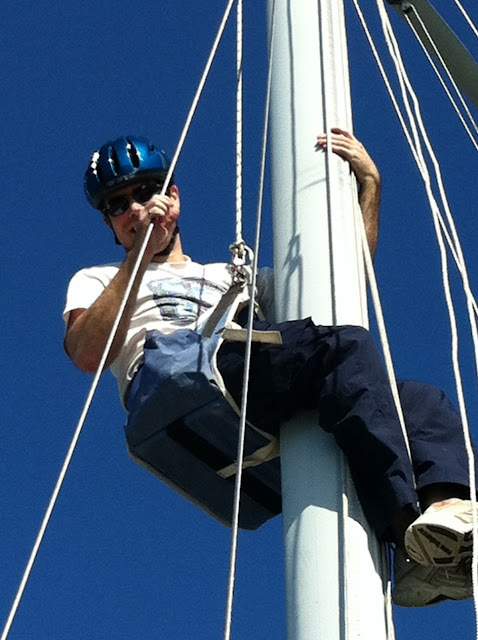 This was a great opportunity to check off something I had yet to do; go up the mast! 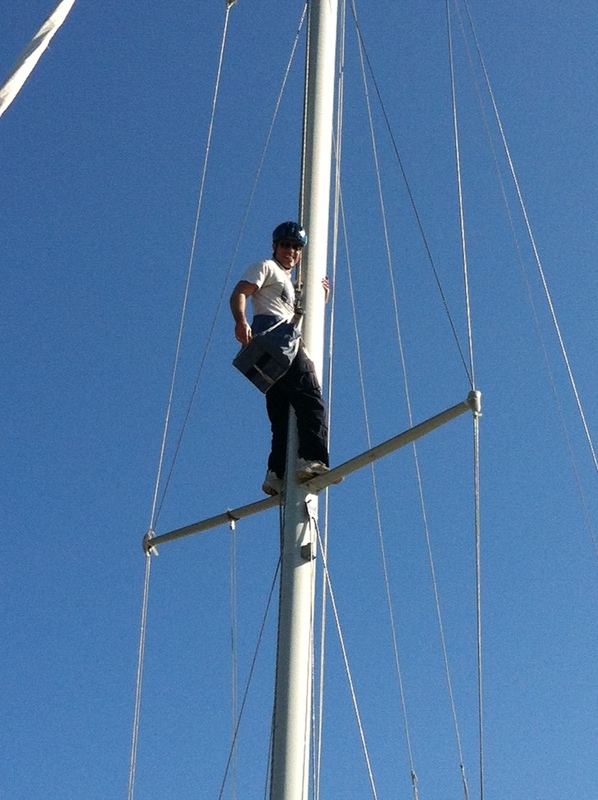 So I strapped myself into the bosun's chair and up I went! Only half way but still pretty awesome! This of course ignited Cassandra's competitive side so up she went too, just for the view! Sunday was intense cleaning inside and out! I primarily stayed up on deck power washing ever inch and Cassandra worked below going through every nook & cranny above the floorboards, sorting and shinning. Almost lost her in the deep refrigerator. Of course boat maintenance goes on all season but we wanted to get the bulk out of the way ASAP to we could get to enjoying it. 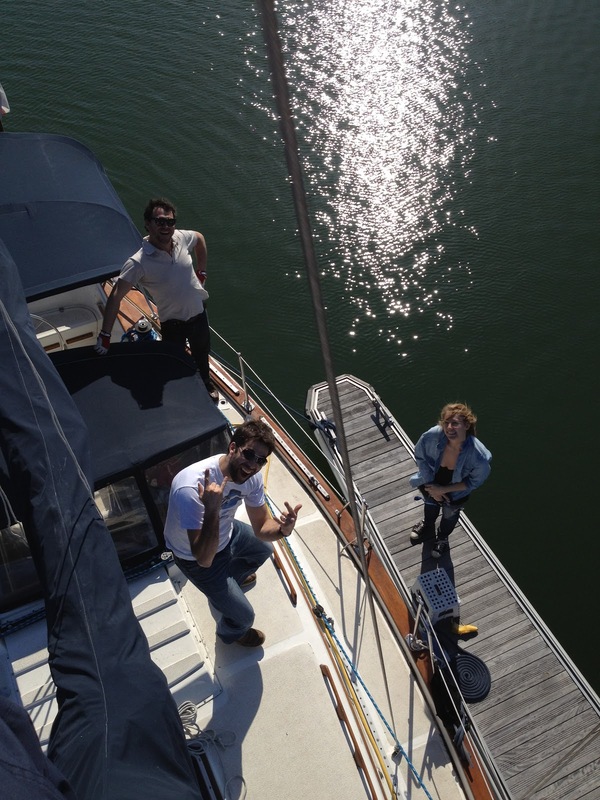 In fact speaking of enjoying it that night we invited the Gerads over and had our first BBQ dinner on board of the season. A very nice evening. 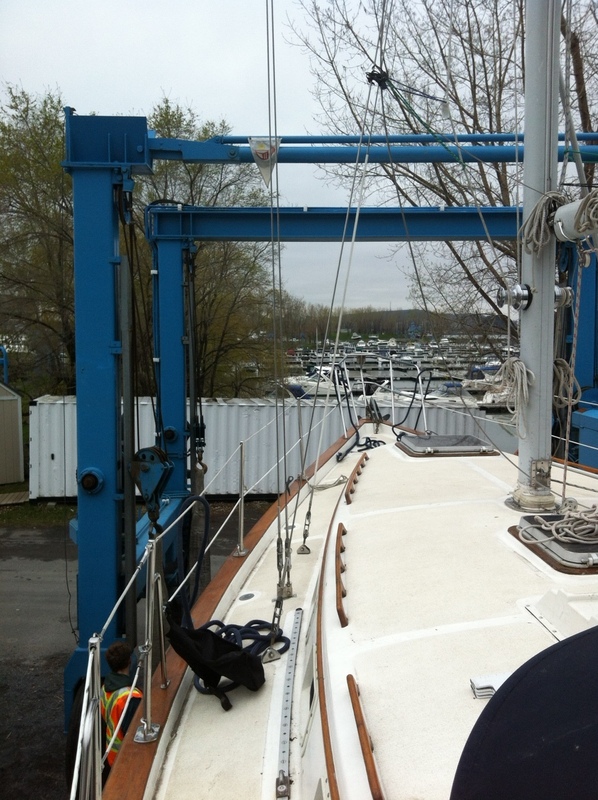 We even slept on board (although it was a little cool and damp - Montreal's summer is slow to get started). Very productive few days! Just goes to show what a little team work and help from friends can do!